School of Journalism & Mass Communication alumnus Anthony Shadid recently won a second Pulitzer Prize for his reporting from Iraq. 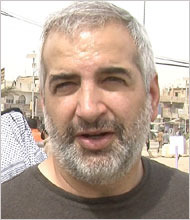 This week’s Friday blog rescue pulls from a blog that Shadid shares at the New York Times entitled “At War: Notes from the Front Lines,” about his insights into the recent March 7 2010 Iraq elections. Q. Writer Nir Rosen has argued that the era in Iraq of “Violent Sectarianism” is over and the country has entered a new phase that will still see some injections of violence but nothing on the level of 2006/7. Is he right, is the era of sectarian civil war over? Has Iraq resolved the fundamental issues that had divided it? A. I do have the sense that the civil war of 2006 and 2007 – an almost existential fight for communal survival – has ended. But arguing that the end of that conflict augurs for a more peaceful Iraq might be a mistake. There is a more ambiguous conflict still under way, and that is the struggle for political power (or political supremacy). In some ways, it is more dangerous than the civil war. At crucial points in Iraq’s history, we’ve seen the fallout from that type of struggle – the eradication of communists in 1963 being one example. Deadlock can prove explosive on its own terms. And I don’t think any of Iraq’s fundamental issues have been resolved, save perhaps a Sunni acknowledgment of some degree of Shiite supremacy. There remains plenty to fight about, and that uncertain landscape prevails at a time that American power is diminishing markedly. In the long term, the end of any pretense of American occupation is crucial. But in the short and medium term, it could make for a far more unpredictable place. We only need to remember the entrenched place that violence has as a clearly political tool in negotiating leverage in politics here.